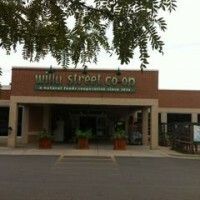 Are Food Co-ops a Caveman’s Best Friend? Once you’ve navigated a few grocery stores from the perspective of a modern day caveman, you’ll notice some recurring disappointments. Only a few cuts of meat are from pastured animals, and if there’s someone to ask they’ll probably try to “educate” you on the superiority of corn-fed. Vegetables are mostly grown in a tempest of chemicals, then shipped hundreds or even thousands of miles. Eggs are from chickens who may be “cage free” but are still fed a highly unnatural diet based on corn and soy, and seldom if ever see the light of day. Choices are meager among your few packaged “staples” like coconut milk & oil, nut flours, or even pure dark chocolate. What is plentiful, comprising nearly the entire center of the store, are all manner of fabricated “foods”: brightly colored nutritional time-bombs engineered from combinations of highly processed wheat, corn, sugar, and industristrial seed oils — little that your grandmother would recognize as edible. It doesn’t need to be like this. Perhaps you’re lucky enough to live near a more sophisticated outlet – maybe something like Whole Foods. You’ll probably pay a little more, and there’s still (in the words of founder and CEO John Mackey) “a bunch of junk” but you’ll find a better selection of the things you want: organic produce, grass-fed meats, healthy fat options, etc. A few good choices are also starting to appear at stores like Costco and Target, as well as better independent grocers. Certainly (weather permitting) your nearest farmers’ market can be a gold mine of real foods at fair prices. There is, however, another choice – one with benefits you may not have thought possible. Astonishingly, if you don’t have this option now you can get together with your tribe and call it into existence! Behold the modern food co-op. I bet I know what you’re thinking: a bunch of hippies offering up tofu burritos and wormy little apples (“That’s how you know they’re organic, man!”) in a dusty little shop smelling of patchouli and… something. I’m just old enough to remember some of that, and to confess fond memories of ice bean cones, Guerrilla cookies, and my first dried pears. With the passage of the nourishing sands of time, the guiding touch of the market’s invisible hand, and no small effort by hardworking visionaries, food co-ops have matured into something altogether different. In cities and towns nearly everywhere you’ll find clean, professional storefronts as unique as snowflakes but sharing common principles and the overarching mission of putting customers first – because those customers are also the owners. You could say the first co-ops were hunter-gatherer tribes sharing their efforts to ensure that all would eat. Cooperation is a natural instinct precisely because it works. The first cooperative enterprises of the neolithic world, however, are generally identified with the cooperative movement of 19th century Europe. The Rochdale Pioneers of Lancashire, England in 1844 still exert an influence today in the form of the Cooperative Principles underlying most consumer co-ops. The movement enjoyed a second period of growth since the 1970’s when many “second wave” cooperatives started, and some see a third wave beginning now. A coop is typically formed to address a community’s unmet needs. Perhaps a beloved mom-and-pop store has gone out of business. Or maybe there is simply nothing around for miles. In other cases, customers seeking particular (often more natural) foods are perceived as too small a market to warrant catering to. In response, a group of ordinary folks get together and start their own store or buying club. These can be worker-owned, or more often customer-owned. Initial capitalization is often via advance membership sales and a bond drive. Typically, members who invest in an annual share recoup the investment after $100-200 in purchases, and get a vote on certain key decisions. Leadership provided by a member-elected board follows articles of cooperation, a specific mission statement, and the cooperative principles. Product is ordered, shelves are stocked, and a new co-op is born. Walk into a modern Co-op and you’ll likely find a clean, well-stocked grocery store with an emphasis on natural and organic foods. Of particular interest to paleo folks: lots of organic fruits and veggies, local grass-fed meats, good eggs, an excellent bulk department, and packaged items like coconut milk and oil. Member-owned businesses enjoy a tradition of being ahead of the curve in supporting options others don’t yet care about. Co-ops were among the first to offer plentiful organic, vegetarian (some see “paleo” as the new “vegetarian”), and gluten-free options. This applies not only to packaged products but often fresh-made deli and bakery items. (My store, for example, has recently introduced a line of grain-free hot dishes.) If you want something that isn’t stocked, most co-ops are happy to special order it for you. By shopping at a co-op, you’re probably also doing more to support local farmers and producers, and benefiting from the somewhat decentralized distribution network. If you’d like to start your own co-op there are a lot of resources available to help. With a little digging, you’ll probably be able to find assistance with everything from planning to financing. You’ll find, as Thomas Jefferson allegedly once said, that the harder you work the luckier you’ll get. One good place to start is http://www.foodcoopinitiative.coop/. Another is your nearest successful co-op. They won’t do the heavy lifting for you (maybe a little in some cases) but they’ll probably treat you more as a kindred spirit than a potential competitor. When assembling your core founders, remember to reach out to those with legal, public relations, real estate, or other helpful experience. Above all, never lose focus on the goal of serving your customers, particularly member-owners. At the end of the day the future of any business is determined by the customers, and this is especially true when the customers are running the show. Whether you get involved with an existing store or start your own, help to make it a place where good food (however you define that) is plentiful and affordable. Joe Disch has worked for Willy Street Grocery Cooperative since 2001, has run the paleo lifestyle blog Madison Paleo since 2012, and recently taught classes on paleo nutrition for interested staff. 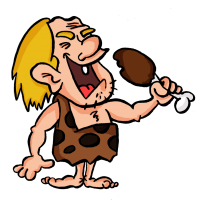 Author Paleo JoePosted on January 30, 2014 June 5, 2014 Tags co-op, food, grocery, Madison, paleo, resource, store2 Comments on Are Food Co-ops a Caveman’s Best Friend? What’s In Your Coconut Milk? I’m one of those people who consider coconut milk something of a staple. I’ve been known to travel with it for use in hotel/restaurant coffee. Until recently, I had to choose between the brands in BPA-free cans and the ones without problematic additives like guar gum and carrageenan. Estrogenic activity from BPA has been linked to diabetes, ADHD, endocrine problems, heart disease, infertility and cancer. Guar gum and carrageenan have been associated with a variety of digestive issues, and more than a trace of guar makes my tummy unpleasantly gurgly. Great news: Natural Value has finally brought to market a canned coconut milk free of all these things, and if you live near Madison you can get it at the Willy Street Co-op! (I may have a had a little tiny bit to do with this.) It’s been available for a while by mail, but I’m happy I can now get it at the grocery store! Since it’s just organic coconut and water, it’s not as inexplicably smooth as the other canned milks – more like homemade, actually. Delicious coconutty taste, nice fat content, and well worth a little extra stir to avoid those extra chemicals. Author Paleo JoePosted on October 22, 2013 Tags bpa, coconut, coffee, food, guar, Madison, toxins4 Comments on What’s In Your Coconut Milk? Author Paleo JoePosted on August 14, 2013 Tags food, Madison, paleo, resource, restaurantsLeave a comment on Welcome new and returning students! 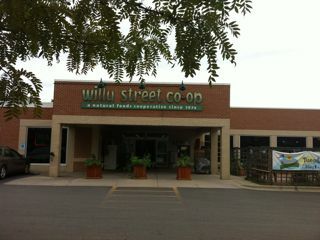 Willy Street Co-op in Madison now offers So Delicious unsweetened coconut milk as a milk option for smoothies, coffee drinks, etc! While I’d prefer one without carageenan and guar gum (inconvenient for a variety of reasons), this is a big step in the right direction, and one I’m happy to see! Stop at the Co-op and order something with coconut milk today! GMOs are so not paleo. Grok didn’t consciously meddle with the genetics of his food sources through selective breeding, and he certainly didn’t use chemicals or viruses to insert specific genes from one species into another. The former was born of the age of agriculture, and the latter only within the past generation. Companies such as Monsanto are working to gain and hold market share by developing and patenting varieties of food crops that produce their own pesticides, or which can survive heavy applications of existing ones (which they also produce) – or which possess various other “desirable” traits. Is this genetic tinkering harmful? There is much controversy, but a lot of people think it is. Many nations around the world have banned genetically modified organism (“GMO”) derived foods or greatly restricted their use. About 50 countries currently require GMO ingredients to be disclosed on product labels. The United States is not yet among them, but there is a large and growing movement to pass this country’s first GMO labeling law: Proposition 37, “The California Right to Know Genetically Engineered Food Act.”What are the potential risks in growing and eating these foods? GMOs haven’t ever been proven safe. In a sense, we’re all part of the experiment. The FDA, for its part, conducts no independent testing of GMOs, saying they are “not substantially different” from non-GMO foods. I’ve never had a great deal of trust in the FDA, largely due to the “revolving door” between the regulatory agency and the food industry. A wide variety of interest groups are concerned about a plethora of risks: cancer and other health issues, reduction of global genetic diversity, the creation of super bugs and super weeds, soil degradation, even the private control of entire food groups. Already most non-organic US corn, soy, cotton and sugar beets (the basis of many sweeteners and additives used in processed foods) are genetically engineered. So is the feed given to many of the animals we eat. In fact, 75 – 85% of the processed food in grocery stores contains unlabeled GMOs. Opposed to labeling what’s in your food are corporations like Monsanto, Dow, BASF, and food conglomerates like Pepsi and Coca-Cola – who along with others have donated nearly $33 million to defeat Prop 37. Why? If the law passes in California, some manufacturers have admitted that it may as well be a national law. They don’t want “this product contains GMOs” on their labels, so they will reformulate their products. If they do it for California (with an economy the size of many small countries) they may as well do it for all of them. Early voting on Prop 37 begins on October 9. By November 6, this initiative will have passed or failed. My friends know I’m not one to seek new government regulations or mandatory anything. I take a pretty strict constitutionalist/libertarian view, preferring to let the free market work and consumers to exercise their power non-coercively. I don’t think it’s the business of the government to decide what is good or bad for us. But I do think protection from fraud is a legitimate function of government, and I see the current “marketing” of GMO foods as a massive fraud. Unless told otherwise, a consumer should be entitled to assume that “tomatoes” are tomatoes as typically understood and found in nature, with roughly the same nutrition profile, allergenic potential, etc. It should be safe to assume that the tomato’s DNA hasn’t been adulterated with fish genes, for example, or altered to allow the plants to survive massive doses of an herbicide that the seed company also holds the patent for. I don’t think we should (or need to) ban the development, production, or sale of these products. I do support the requirement that it be disclosed when food ingredients are so altered. If you do as well, you can sign this petition asking the FDA to require disclosure of GMO ingredients. But honestly, California Prop. 37 probably has more hope for success. Regardless of how much (or little) you choose to ask the government to protect you, I hope you’ll vote first with your dollars and buy foods as close to their natural state as possible.